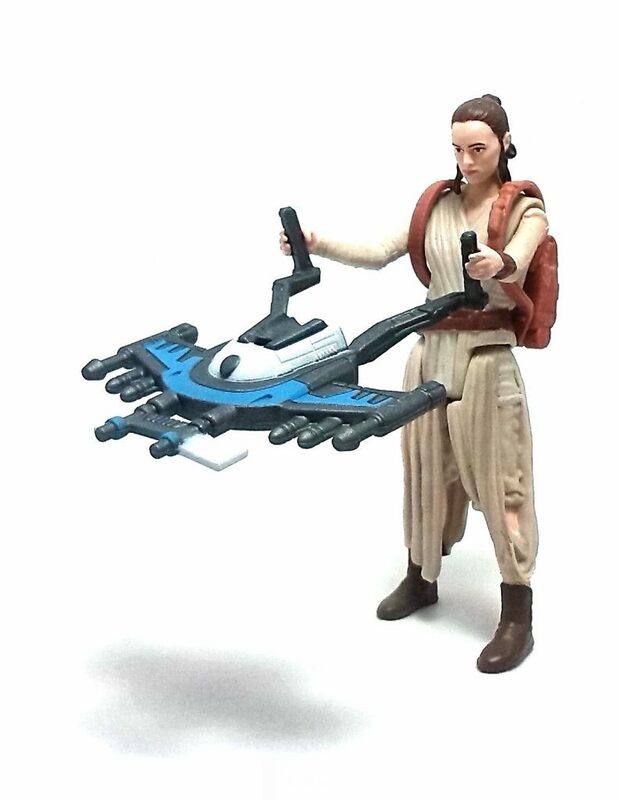 One of the first figures I picked up back when toys for Star Wars: The Force Awakens began trickling into stores was Rey (Starkiller Base). 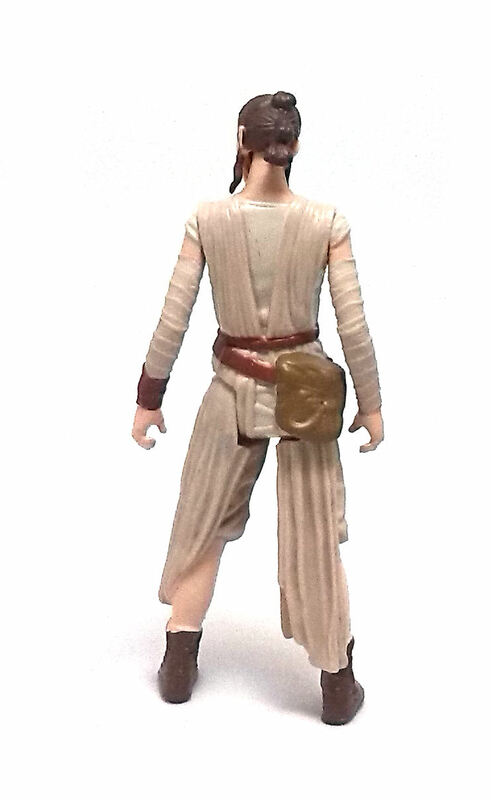 The moniker is slightly off, since Rey wore this outfit for most of the movie, regardless of location, but I guess they had to put something in the package to tell each version apart. Rey is depicted wearing loose garments, full of folds and wrinkles sculpted over a fairly slight frame. 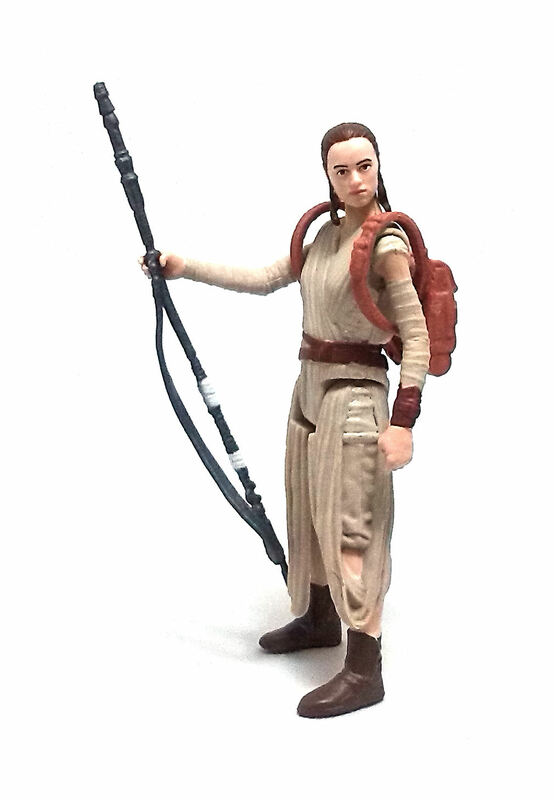 The head sculpt is good at broadly capturing the facial features of actress Daisy Ridley, and the overall figure stance is relaxed, but still more interesting to look at than a simple standing-straight pose. Articulation is limited to the basic five points and they all work reasonably well, but the ball-jointed neck post goes so far into the head, it does not provide much tilting in any direction. 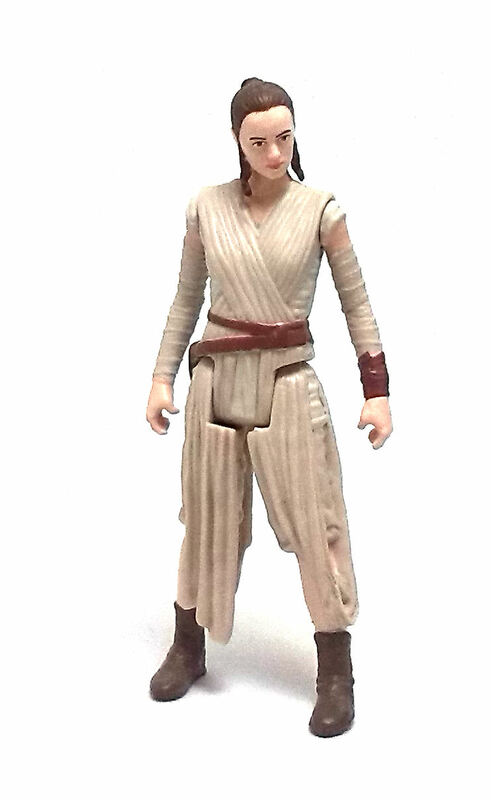 Rey has a very simple color palette, with most of the figure being molded in a light tan plastic. Even though the paint operations on the body are just average, I really liked the deco on the face, with neatly centered eyes and a very subtle lip color. 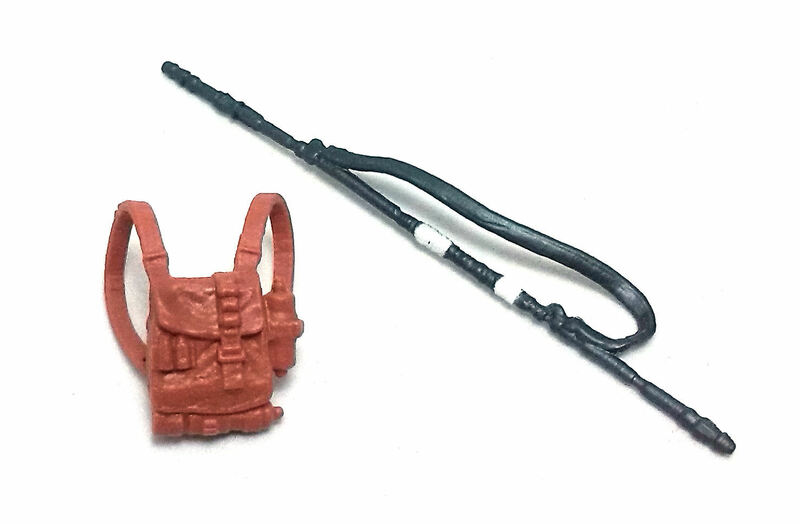 In terms of accessories, this version of Rey comes equipped with a thin staff sculpted with a strap to hang from her shoulders and a brown backpack with adjustable straps. 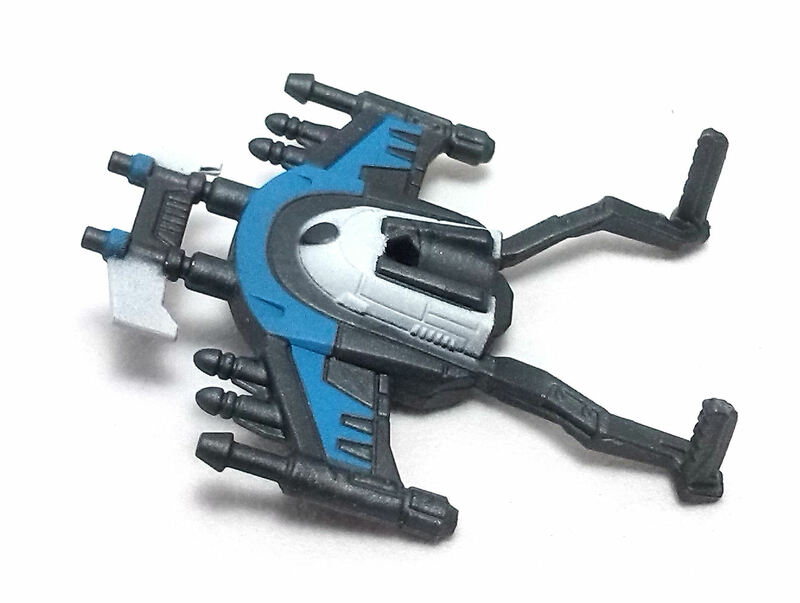 She also comes with a Build-A-Weapon piece, shaped like some type of multi-barreled gun with handlebars. Except for the backpack, all of her accessories have some form of paint deco on. I am actually quite satisfied with this Rey (Starkiller Base) figure, as I think it is a very good example of what this format of action figures can achieve in terms of sculpture and all-around fun.